Microsoft Blend has been rebuild from the ground up, based on Visual Studio IDE Technologies. 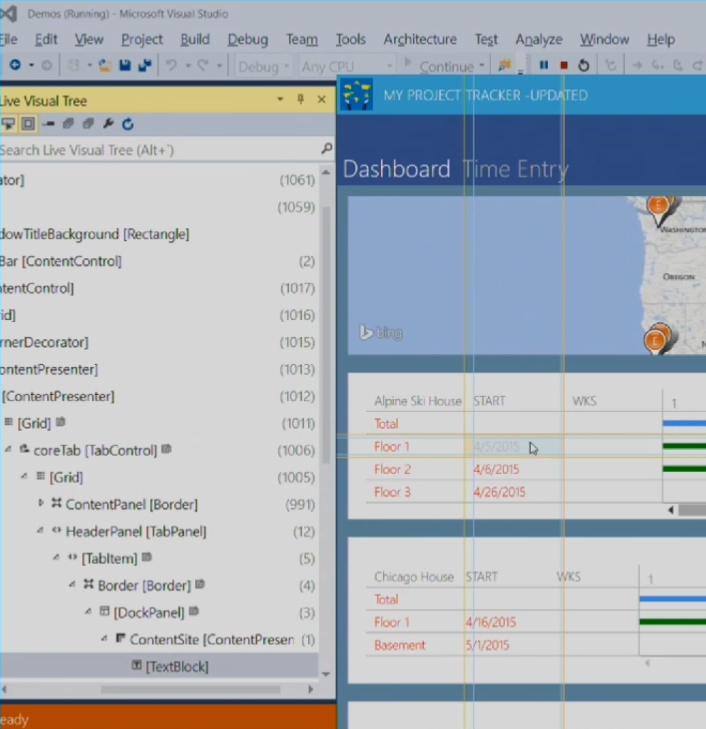 Added UI Debugging for XAML, including Visual tree inspection and Manipulation. Live tracking of tree and property changes. Full integration into the debugging process. Display UI and Layout adorners to diagnose margin and padding in realtime. Introduced Preview-Selection Mode, which means that the active selection in the UI tree is applied to the XAML document selection. The property Explorer now supports editing of properties, which are applied to the live running application. 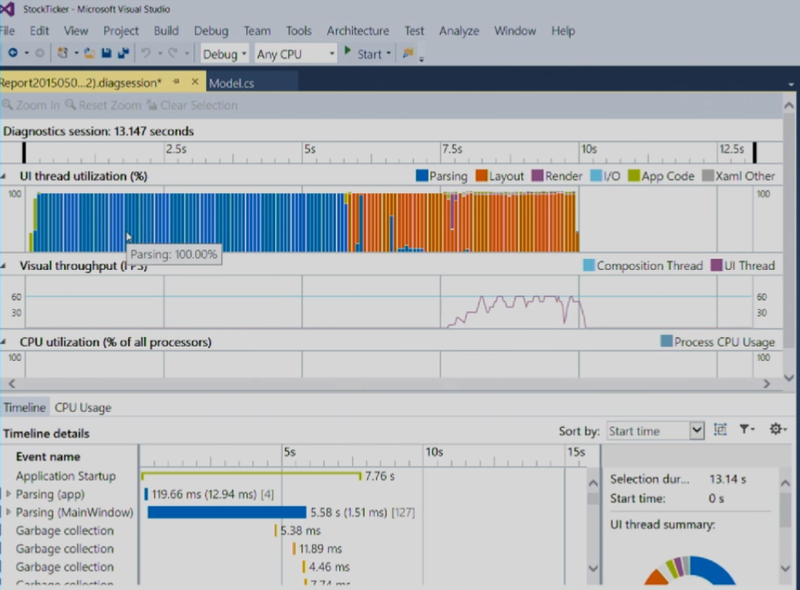 Added great improvements concerning profiling (CPU, Loading Times and more). Support of adaptive layout approaches, which are necessary for Universal App development. Realization of tailored views by sharing .xaml content, with same code behind. 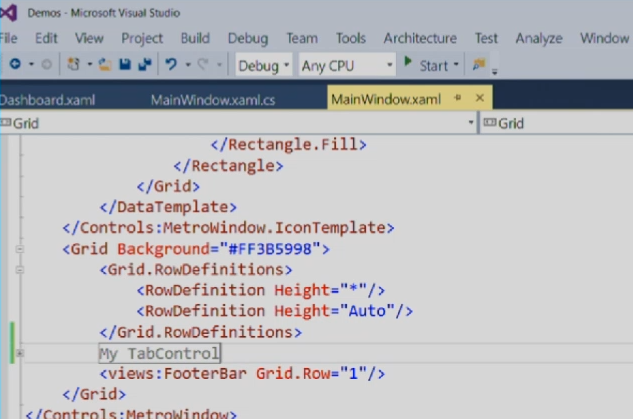 Pingback: BUILD: What’s new for XAML in Visual Studio 2015 | Dinesh Ram Kali.